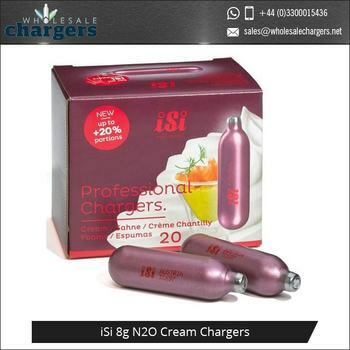 iSi Cream Chargers are available in packs of 12, 24 and 50. 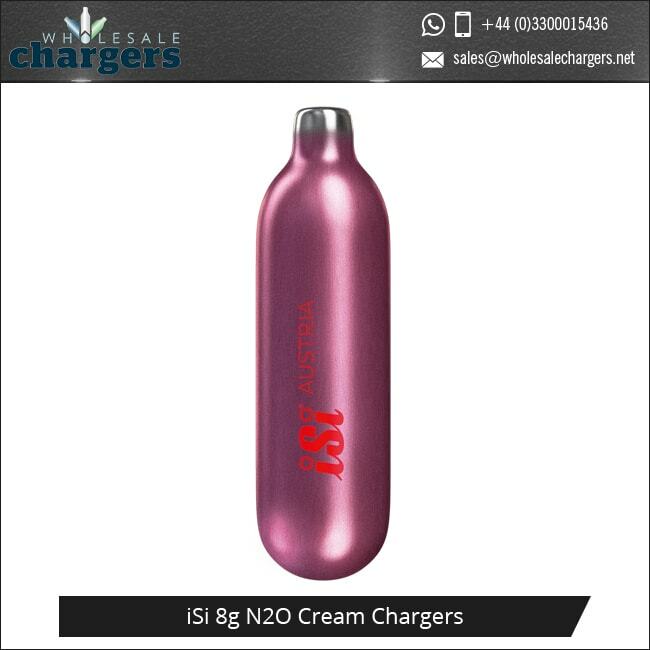 All iSi Cream chargers are made from 100% recyclable steel, silver lacquered and are non-refillable. One charger contains approx. 8 g pure N2O. 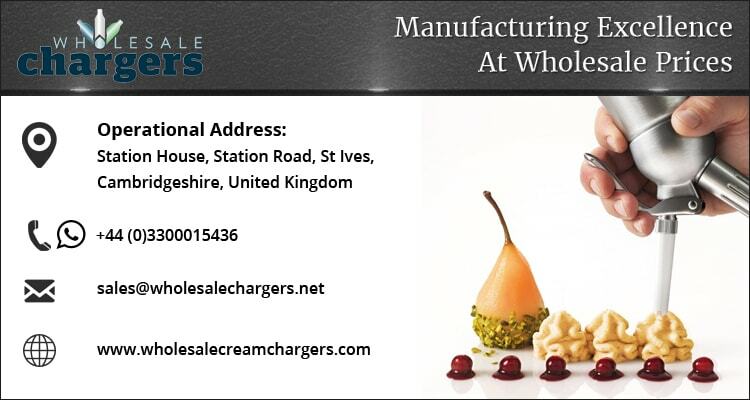 Use one charger for 0.5 L.
Cream chargers are classed as a food additive. 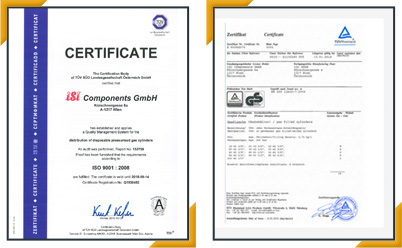 iSi comply with all regulations on traceability etc. You should only buy chargers with a traceability code. ISI Cream Chargers can be used to create the perfect whipped cream, allowing you to achieve light, flurry, and scrumptious results that are sure to go down a treat! Manufactured to the highest possible standard, these cream chargers optimise productivity, freshness, and application in both commercial and home kitchens. Utilising the Nitrous Oxide gas in order to charge the bulb and power your results, all iSi cream whipper bulbs and chargers have been expertly developed to effectively force the cream out through the whipping device, leaving your whipped cream light and flurry every single time. 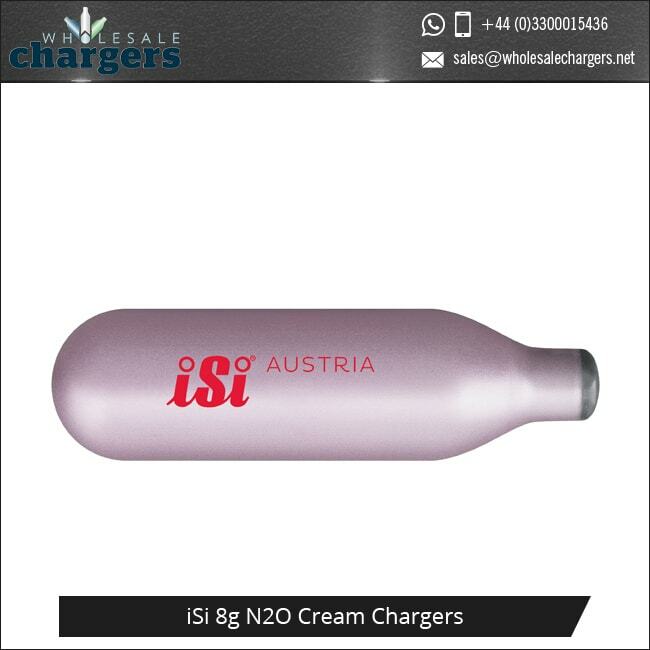 The Mosa Cream Chargers you order will be delivered in iSI branded packaging.